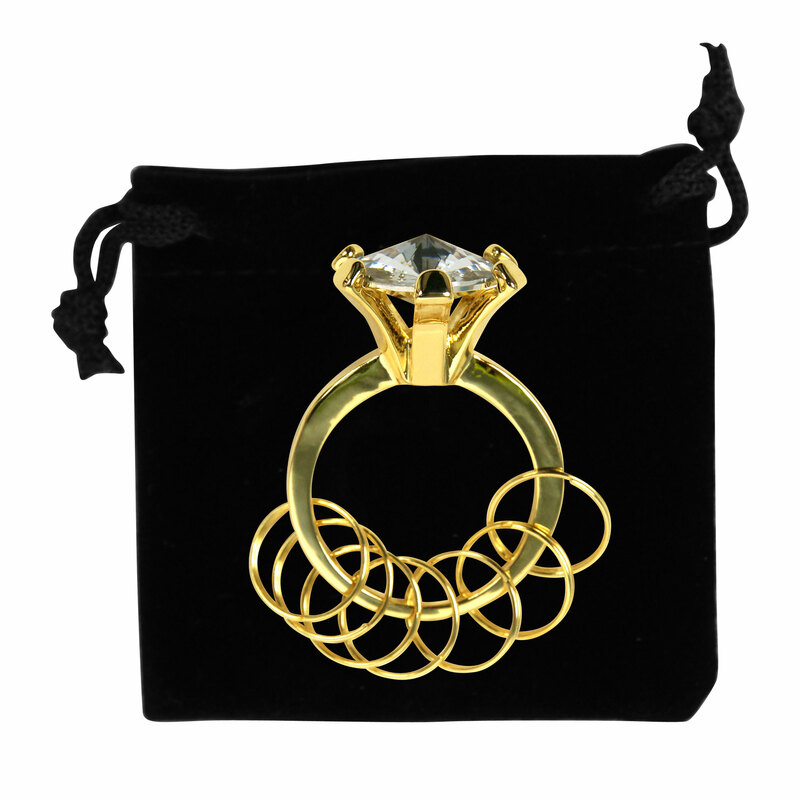 Add some bling to everyday with this incredible Bling Key Ring. This fully functional key chain will add glamor and style to your life and makes a great gift or stocking stuffer. This key ring features an over sized cut glass diamond that looks stunning and is sure to turn a few heads. 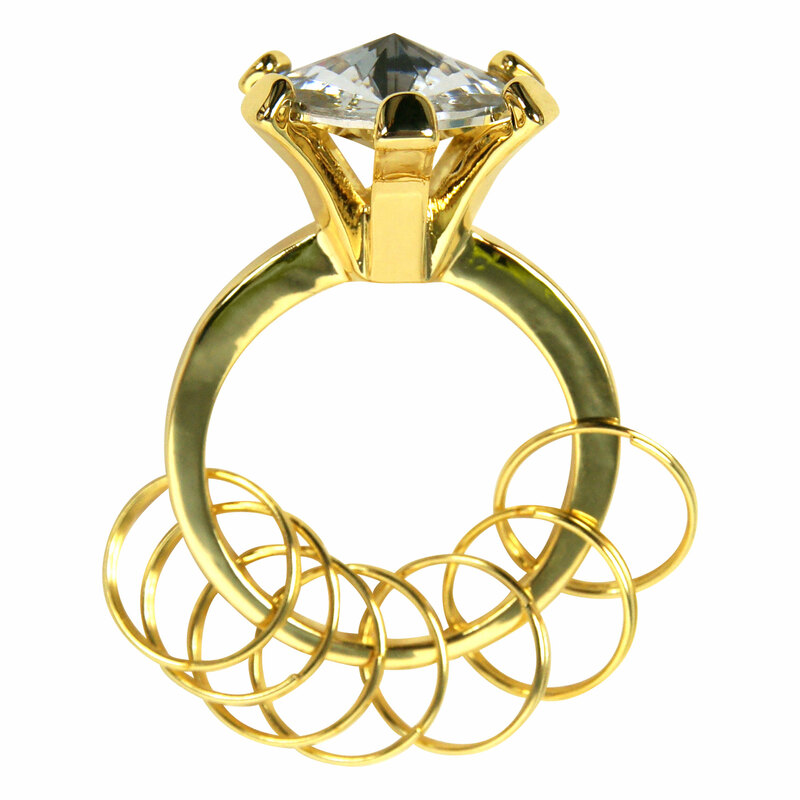 It has a gold style band that helps accentuate the diamond. 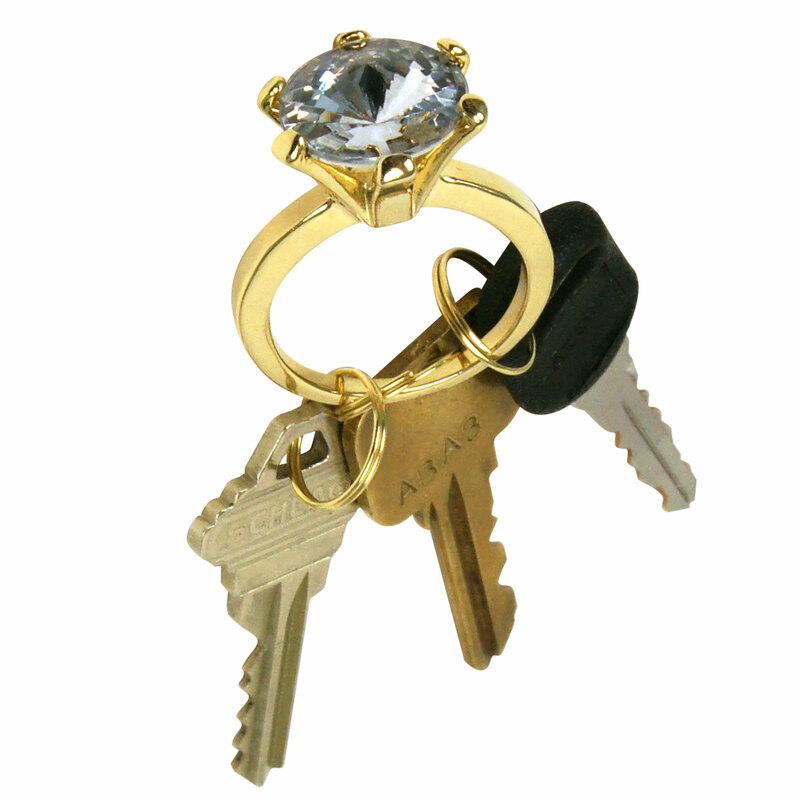 This Imitation Diamond Ring Key Ring is also perfect as a wedding favor. Keep all your keys together and stylishly organized with the Bling Key Ring.